Jacqueline Murray was born on April 16, 1950 in Warrenton, GA. Jacqueline was the first born daughter of Deacon Edgar Murray Sr. and Lillian Beatrice (Stewart) Murray. 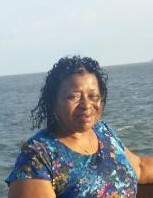 She went home to be with the Lord on Sunday, January 27, 2019. Jacqueline was an enthusiastic servant of the Lord and confessed her faith in Jesus Christ at an early age. Jacqueline graduate from Warren County High School in 1968. She attended Phillips Junior College, where she received a Medical Assistant Associates degree and retired from the Warren County Public School System. Jacqueline always had a love for her family, church and community, her passion was organizing Stamp Branch’s Black History and Easter programs, helping the youth at church and participating in various community initiatives. Jacqueline was the one in the family to maintain the love in our family’s home. She not only was the first born but she was our family, town and church history source. There are so many word that you can use to describe Jacqueline. She brought beauty, warmth, hospitality, support, joy, love, encouragement, knowledge, kindness, conversation, faith, care, intelligence, reasoning and most of all understanding everywhere that she went. Her life was a legacy that will leave our heart with emptiness but our memories of her will last forever. Jacqueline was preceded in death by her parents Deacon Edgar and Lillian Murray, her sibling, Freddie, Edgar (Junior), Mary Louise (Mae) and Eddie Harris. She leaves to cherish her memory her two loving sons Anthony and Omar Murray, her fabulous five grandchildren, Aaron, Nickolas, Journey, Omariah and Daija, one great grandson, Taj, her three sibling Maxine (Donald), Ruby (Larry) and Renee, her Aunt Betty (Stewart) Powell, her devoted friend Lloyd and Bernadine Robert, a host of nieces, nephews, cousins, and friends.